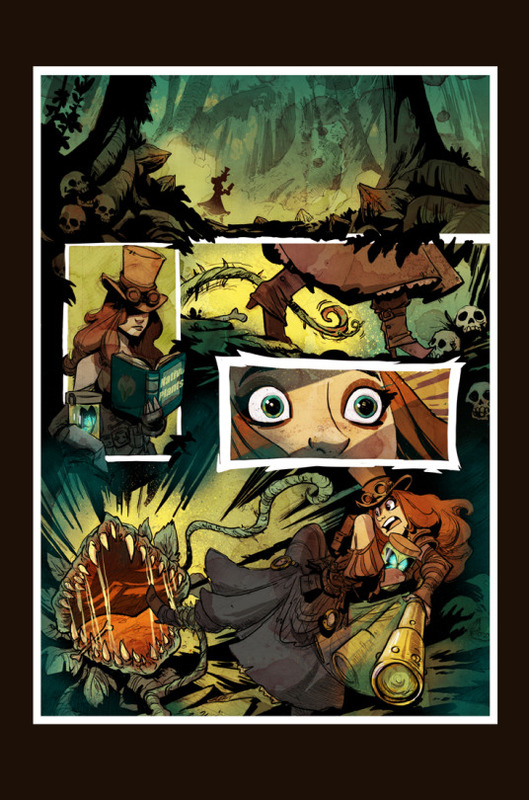 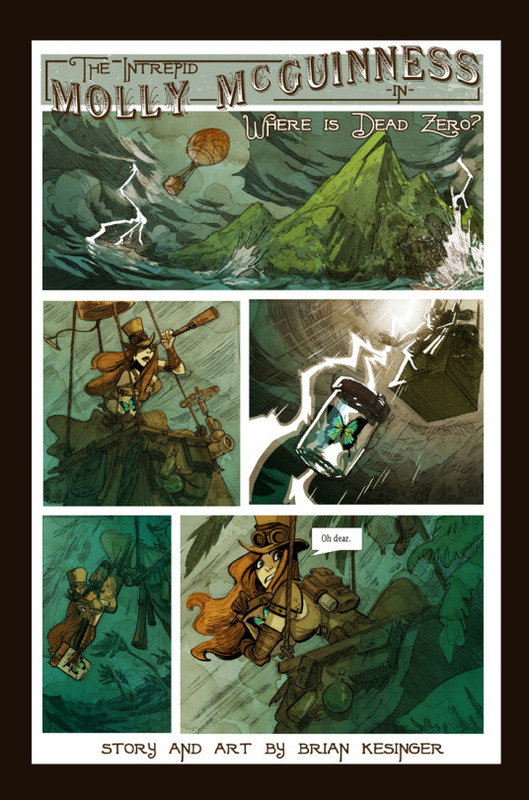 I'm a huge fan of Brian Kesinger's art, but I think he's outdone himself in his recent comic. 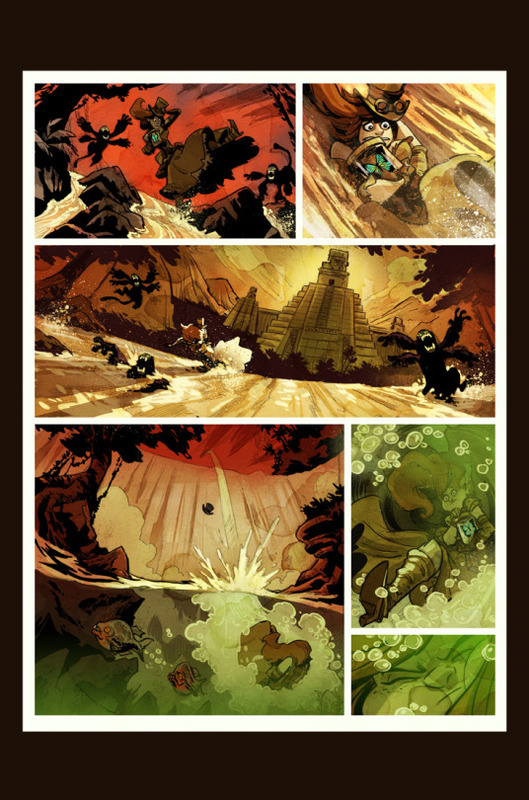 "this was my first entry into the world of comics. 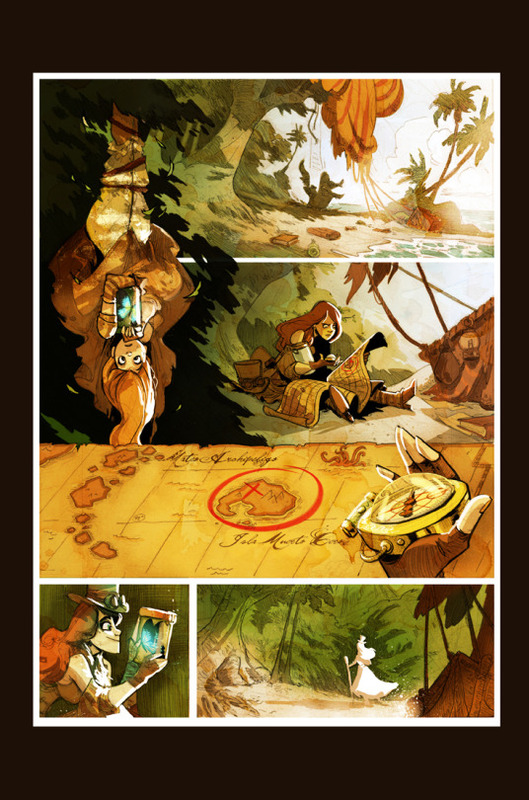 this was published in an anthology book produced by the story artists at walt disney animation studios. 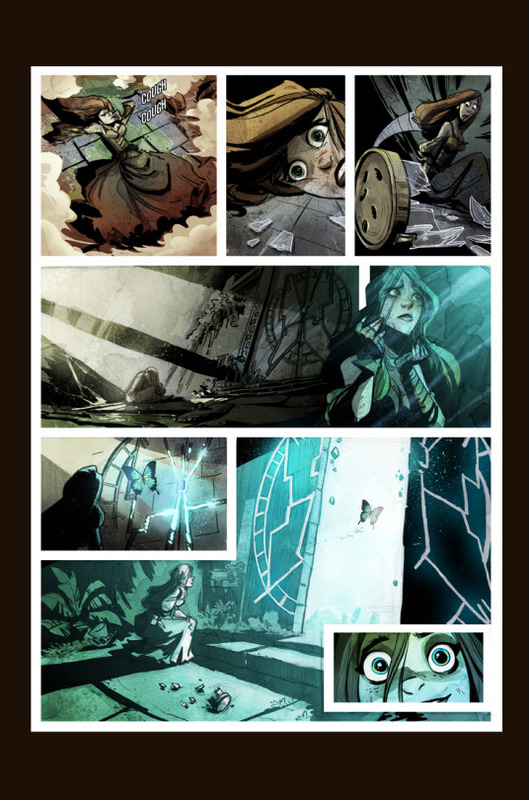 the book is called where is dead zero and each artist had to tell a different 8 page story using that same title. 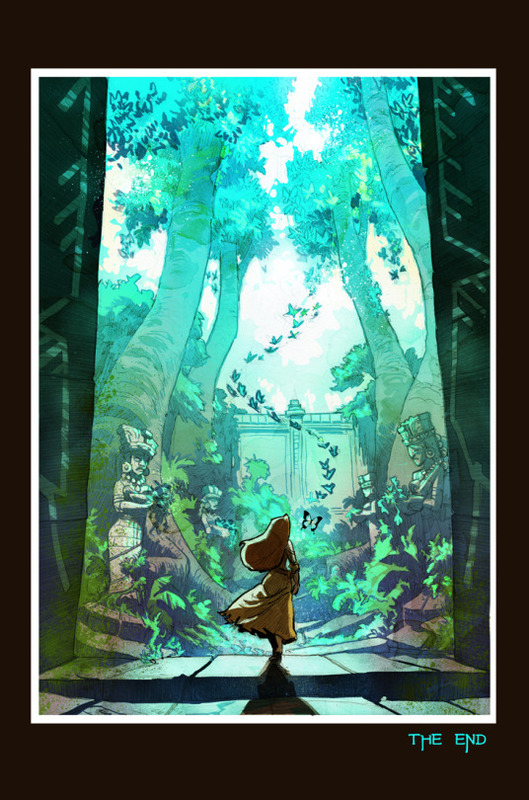 my story centers around a crypto-entomologist named molly mcguinness who travels to the new world in order to return a lost butterfly to it’s native habitat. 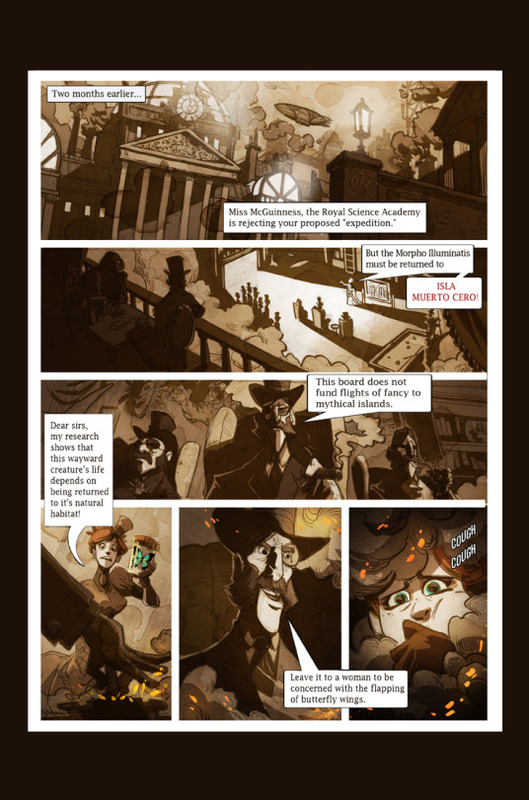 it was a lot of work but very fun to do. 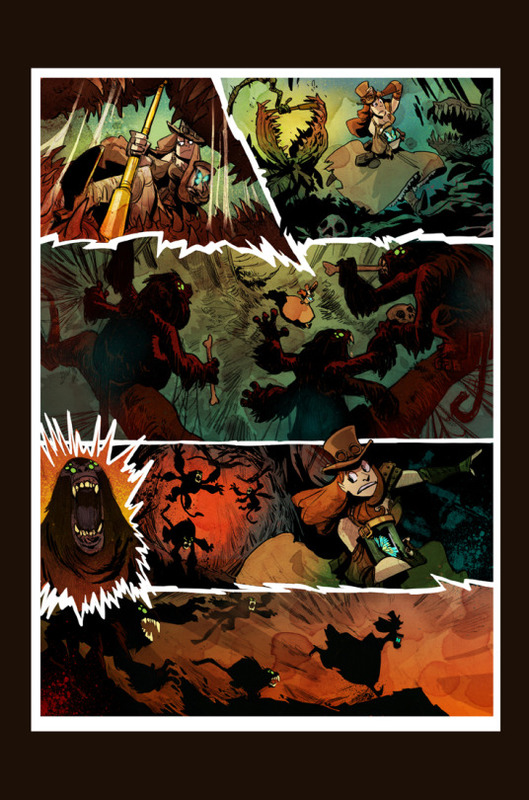 i penciled each panel out on paper and then inked and colored it digitally."